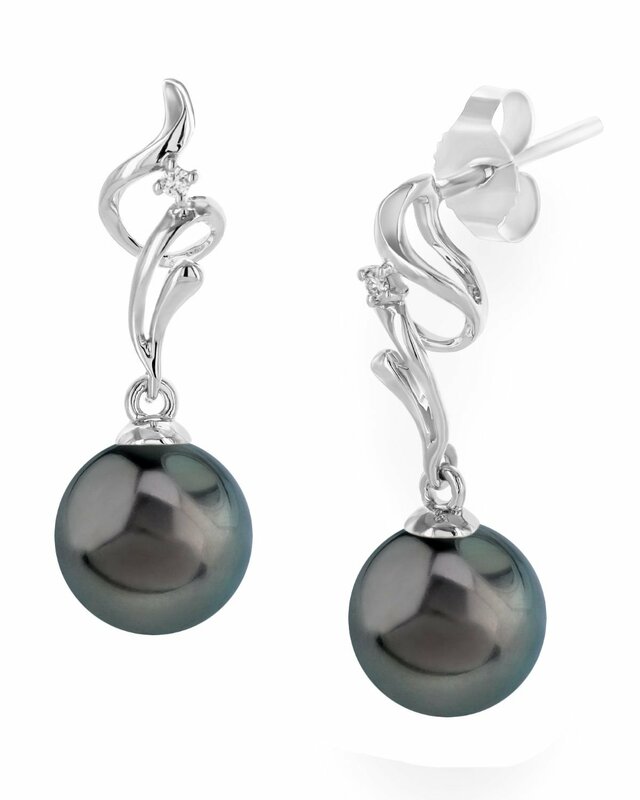 These beautiful pearl earrings feature two lustrous AAA quality 8mm Tahitian South Sea pearls, imported directly from the pearl farms of Tahiti. The pearls are mounted on 18K gold with dazzling SI clarity diamonds. A beautiful complement to the necklace!